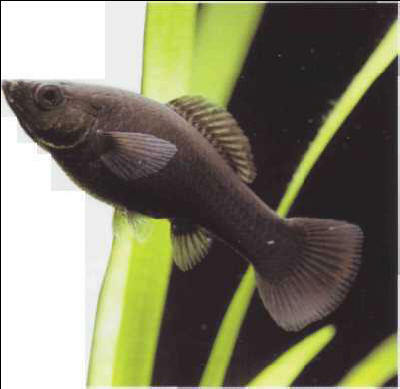 This is known as the sailfin molly and should be kept in identical conditions to P. sphenops. (Both are popularly referred to as simply the molly or black molly.) The dorsal fin is both higher and longer then that of P. sphenops. The black lyretail variety is probably a hybrid of the two species, rather than a variety of one or the other. Size: 8 cm. ОТДЫХ , состояние покоя либо такого рода деятельность, которая снимает утомление и способствует восстановлению работоспособности.